A couple of days ago, I was idly leaning over the wooden bannister of one of the two walkways that carry you over the water near the ice skating rink in Forest Park. Looking at these water lilies and wishing that I had a polarizing filter, a longer lens, and better light than a bright midday sun. Without warning, I heard a rumble, a muffled word of alarm, and turned around to see these three gentlemen whizzing past me on their Segways. At that moment, they looked like they were having a bit more fun than me, but I only had to walk on a few paces to recover my sense of pleasure at being in the park at lunchtime. 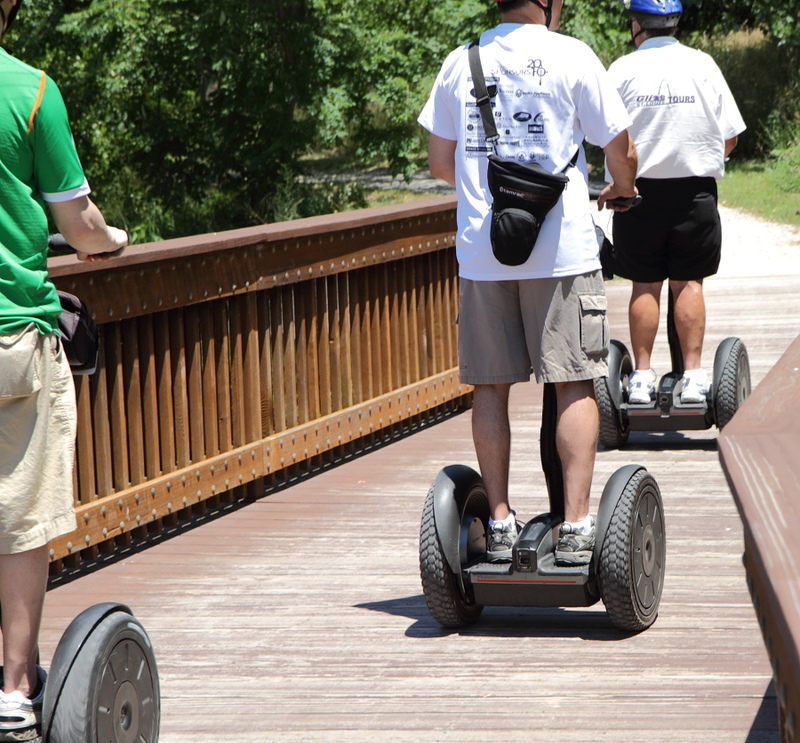 I wonder — "The Segs" — kind of like "The Mods"? And I wonder who would be their Who. :)Yeah it might have benefited from a CircPol or other. But a very peaceful scene anyway. In fact when I saw it I sort of did an "oh, ah!" thing. And I'm glad that you did mention they were lilies as I was just about two seconds away from gerabbing the Audubon Field Guide. Seriously. I found this one in British Columbia. 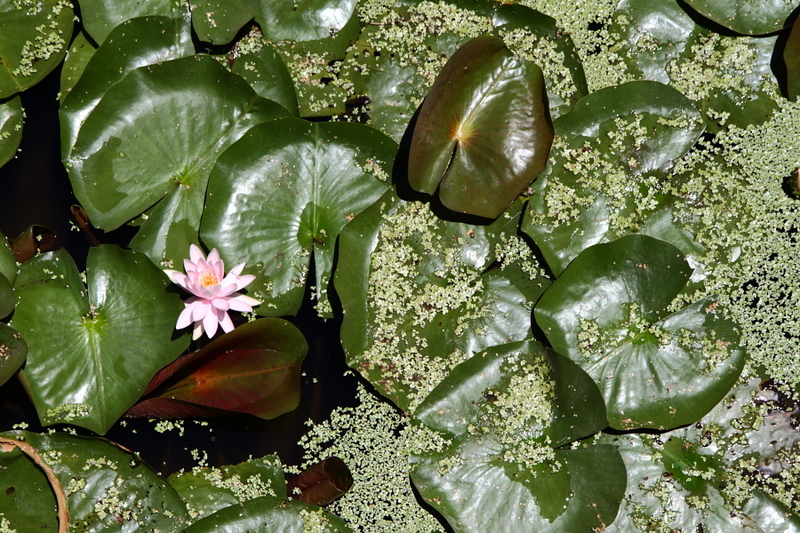 Very pretty water lily! We have Nuphar lutea here in WA. I know because I just looked it up. :lol:I think there are some up at Manito park at the Japanese Garden.